Australian owned and run, 624 is based in Sydney with warehouses in Melbourne, Brisbane, Adelaide and Perth. Our mission is to offer the sleep-deprived a solution that they had never seen before - a high specificiation mattress that's both affordable and has three different firmness options to choose from. 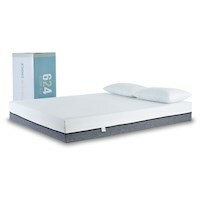 The mattress comes compressed and delivered in a box. The 624 mattress comes with a 10-year warranty. This Warranty is not transferable and covers you only if you are the original purchaser and current owner of the 624 mattress for which you are seeking recourse under the Warranty. A visible level of dipping (caused by body impression) greater than 20mm on the mattress. This refers to as dipping that is visible when no weight is applied to the top of the mattress. Please note that 624 mattresses are designed to work on a firm, solid-surface, on a bed base (e.g., a frame or platform) that is structurally capable of supporting the weight of the mattress and user upon it. Any manufacturer defect such as the fabric tearing or stitching unravelling. Excluded damage includes but is not limited to stains, smoke or water damage, soiled or unsanitary mattress, burns, rips, tears or damage from an insufficient base. Individual or personalised preferences relating to firmness, texture, comfort, etc. The natural aroma from latex, cotton or foam, etc. We will replace or repair the product or its material components (e.g. the mattress cover). 624 reserves the right to repair or replace your product. 624 reserves the right to offer you a refund or similar replacement if your item has been discontinued. Allergies, discomfort, or other conditions, are not covered under this Warranty as 624 makes no medical or health claims regarding its mattresses. Any questions or concerns regarding medical or health conditions should be addressed by a licensed physician. Customers are entitled to one free replacement or repair (at our discretion) per order. Any further replacements will require customer to pay postage and handling fee. If disposal is required, customers will be responsible for the removal of the faulty product . Warranty is from date of purchase and does not start over from date of replacement or repair. At 624, we offer a 125-days risk-free in-home sleep trial. If you do not love your 624 as much as we think you will, then you can simply contact our customer service. We will organise for your mattress to be collected from your door, no matter where you live, and give you a full refund. 97 out of every 100 of our clients decide that they can’t live without their 624 so the chance of having to return your 624 is slim. This is due to the multiple firmness feels in every mattress. We do require that you have slept on your 624 for a minimum period of 30 days as your body may take time to adjust to the 624. It is worth it. To claim a refund, you will need a copy of your original invoice, a photo of the removed 624 tag or the tag to be sent to 624, a photo of the mattress to verify that it is in a clean state and be available when the pickup is scheduled. The trial is limited to one per household. The area included in the trial is mainland Australia and Tasmania. Please note we will never resell a returned mattress. It will be donated to a charity whenever possible. The returned mattress need to be free from stains and damage for the charity to accept them. If not, the refund cannot be granted.